We are living in a remarkable time of unprecedented advances in technology and conveniences of modern living. We have the easiest access to information, improved and broader ways to communicate, greater convenience of travel, heretofore unimagined access to all types of entertainment and food choices, increased efficiency and productivity of work, and ever-increasing advances in medical technology. Yet, living a modern life is getting more and more difficult. Most of us are feeling more stress than we were ever meant to handle. This stress whether dietary, environmental, work-related, family-related, etc. has an immense impact on our holistic health and sense of well-being. This may manifest as weight gain, depression, anxiety, female hormone balance issues, fatigue, GI issues, and other chronic diseases. As advanced as today’s acute, conventional medical care system has become, it has largely failed to improve the general health and well-being of most. With our ongoing attempts to cope with living a modern life, many of us have fallen out of balance with how our bodies were intended to function. At Women’s Holistic Health LLC, our intention is to help you on your journey back to restore the intended balance in your body, mind and spirit. This principally involves initiating and maintaining lifestyle choices that empower you to find deep healing within yourself. We all need guidance and support to change our habits and beliefs around how we can best handle the stresses of modern day living. The answers to those questions provide the knowledge and power to remove whatever causes imbalance and provide whatever creates balance. In the process, you will learn and understand how beautifully your body works, and what it needs to function optimally to achieve your best health. How we nourish ourselves with food is one of the most important ways to find balance in our bodies, to create the space and foundation for feeling better. You will learn that many imbalances in the body originate in our gut. Profound healing and recovery occurs when we are able to change the way we eat, supplement wisely, and restore optimal gut function. Creating the best gut health is foundational to creating the best health. We were meant to move our bodies! When we move our bodies, whether through brisk walking, yoga, dance, gardening, etc., the benefits are multitude beyond looking and feeling better. Movement is essential for the optimal function of our bodies. Our bodies need time to restore, to “rest and digest”. Focusing on strategies to optimize the quantity and quality of sleep, as well as creating space in our lives for play and relaxation are vitally important to our overall sense of well-being. As most of us know, we were never meant to stay in a nearly continual state of hyper-alertness and readiness; however, living a modern life is more demanding and worry-provoking than ever. This state of ongoing stress creates chronic over-activation of physiologic stress responses which leads to all manner of imbalance and symptoms, especially with hormonal health. Many people are not aware that the amount of stress they are experiencing in their lives directly causes their physical symptoms. Addressing “stress reduction” is not a simple thing. Often, it may involve some shifts in thinking and behavior. Sometimes, it may involve making difficult decisions about work and family life. Nevertheless, reducing stress is absolutely necessary and critical to restoring health and a sense of well-being. We are meant to live in community with each other. Some of us are very fortunate to have family and friends in our lives with whom we enjoy spending time and from whom we have great support. And most of us could use more connection and support for the personal issues we struggle with the most. 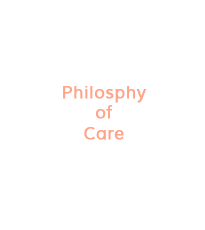 Improving the strength and quality of our relationships and therefore, our basic feeling of safety and security, will contribute immeasurably to our sense of well-being and vitality. So, that all sounds great, right? But how do we get there? How do we find the time and the support? Women’s Holistic Health LLC was created to support you in all aspects of your journey. Your one-on-one work with Dr. Wei will establish the framework to address the issues which bother you most, and provide the encouragement and advice you need to restore balance in your life. Essential to your success is having access to the help you need when you need it. 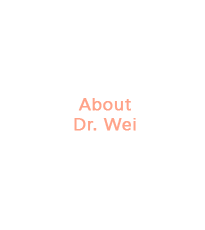 You will be able to contact Dr. Wei through the patient portal and follow-up visits. You will also have the opportunity to work closely with our amazing functional medicine coach to learn how to make the powerful changes you need to create the health and life you really want. 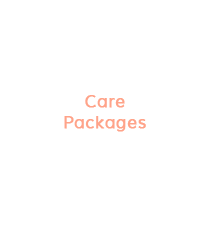 However, perhaps the most exciting and meaningful connections you will make will come through the opportunity to participate in small, intimate groups of other women who are also traveling the path of finding better health and wellness. 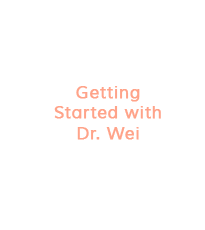 Dr. Wei’s vision is to create the space for you to share about your experience and to receive support and advice from other women. We are all on this path together, and we are here to offer our most precious gift to one another, our presence.